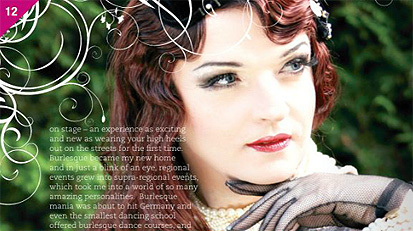 Queerlesque - Frock Magazine for crossdressers, transvestites, transsexuals and transgender people everywhere. Oh, and Drag artistes too! Cross burlesque and queer and you get this interesting style of photography from Berlin, Germany. Read the rest of this article in Frock Magazine, by clicking here.